This is a very filling recipe. 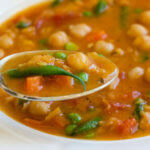 Beans will fill you up and the flavour offered in this soup is great as well. Along with the beans, you will need vegetables, a bay leaf and some fresh herbs. Save a rind from your parmesan cheese and throw that in too. It adds so much flavour to this filling and hearty bean soup and the parmesan taste complements the beans and vegetable flavours you get. The same goes for orange peel (zest) so throw a few strips of that in there if you have it. It brightens up the overall flavour of the soup. 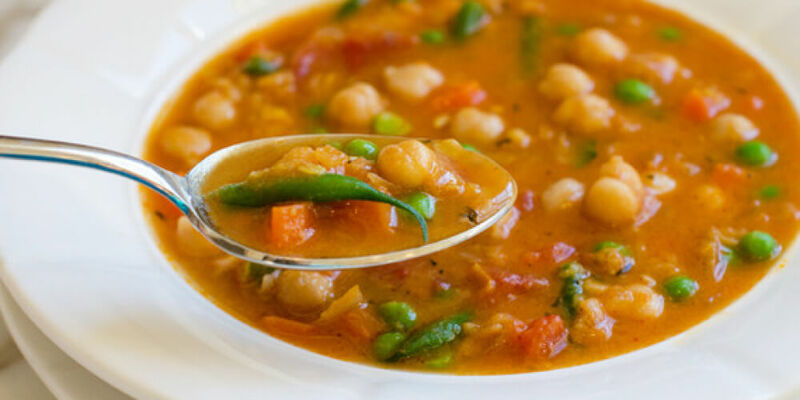 Although the recipe calls for cannellini beans, you may substitute kidney beans, chickpeas or a mixture of beans, so you can tweak the soup and get it exactly how you want. Also, feel free to switch the chard for kale, cabbage or another type of greens. This hearty bean soup is nice served with warm, crusty bread. Any hey, who not make extra - it will freeze well for up to 2 months! 1. Chop the carrots and onions. 2. Heat the oil in a big pot and add the chopped carrots and onions. 3. Now chop the tomatoes and add those to the pan, and the bay leaf too. 4. Add the beans (drain them well first if you're using canned ones). 5. Add enough vegetable stock to cover the other ingredients. 6. You can also add the Parmesan cheese rind and/or orange peel if using. 7. Grind in salt and pepper. 8. Chop the chard (or whatever greens you are using) and add it to the soup. 9. Add in the parsley and cook, stirring, for a few minutes or until your greens are tender. 10. Serve hot, with a drizzle of oil on top, plus plenty of nice crusty bread on the side.